Denon DJ, a leading manufacturer of premium-grade DJ equipment, unveils its DN-SC2000 Controller. The unit is an affordable, compact, professional-grade, solid steel MIDI controller designed for the home DJ or party laptop DJ on the go. Used together with the DJ’s favorite mixer and PC software of choice, the DN-SC2000 offers party and bedroom DJs a compact, portable, user-friendly control solution. A two-layer system, the unit can control two decks at once (with visible deck color change), or be paired with another DN-SC2000 unit to control four decks. The DN-SC2000 Controller will be available fall 2010 with a U.S. MSRP of $299.99. 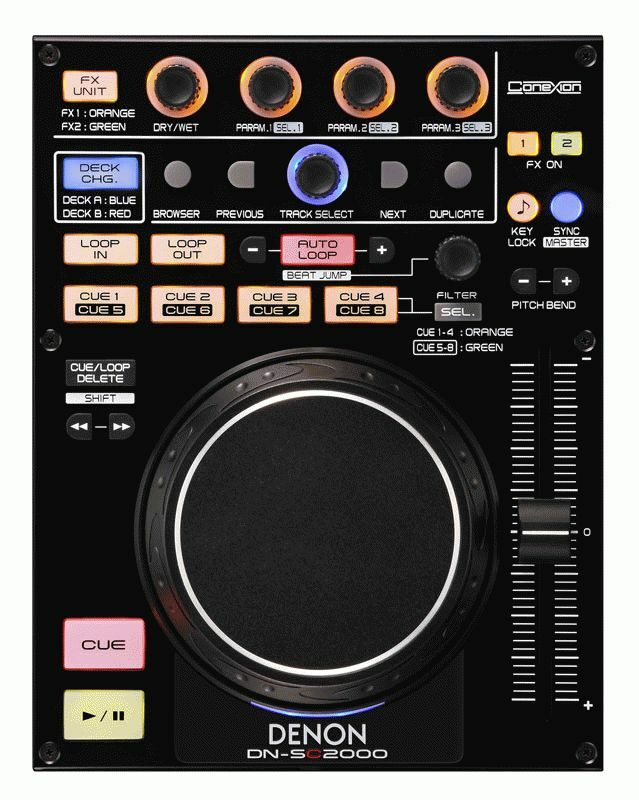 For more information, please visit www.denondj.com.